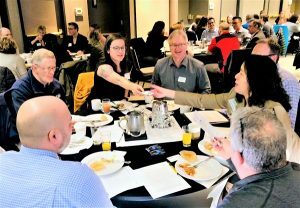 Chamber representatives Kelly Snyder of UW Bothell, Aran Buchan of HUB International NW, Matt Isenhower of Chick-fil-A Bothell Canyon Park, Brittany Caldwell Chamber Executive Director, and Bea Huang spent 2019 Chamber Day in Olympia this week meeting with a wide variety of people and discussing important issues affecting businesses in our area and Washington state. 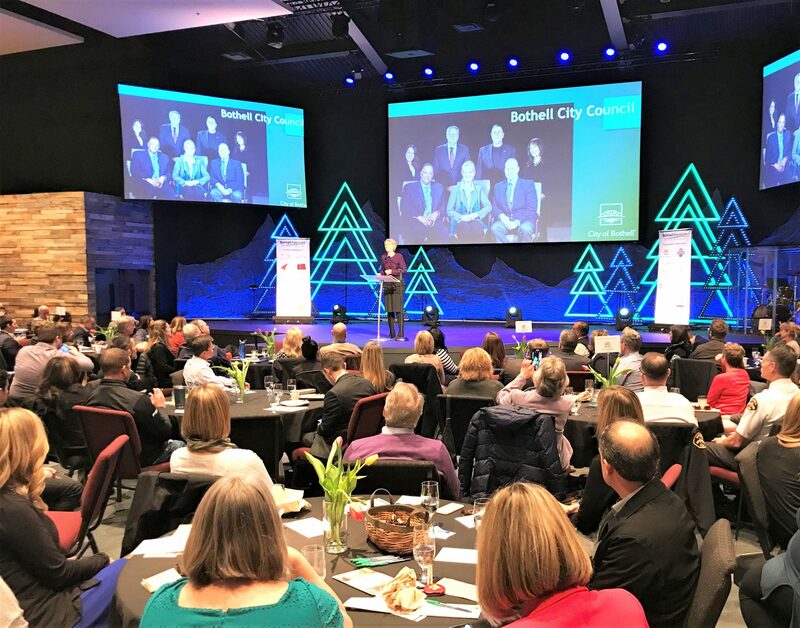 They met with the 1st (Bothell) and the 46th (Kenmore) District Representatives, Senator Hobb’s team, as well as the Association of Washington Business. 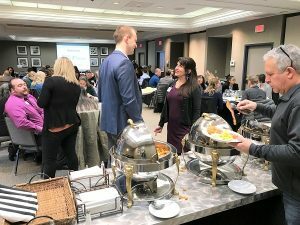 Some of the issues discussed were transportation, Senate Bill 5326 which would impose a new tax burden on small hair salon owners and independent stylists, funds for a new academic building on the Cascadia/UW Bothell campus, and condo liability reform. 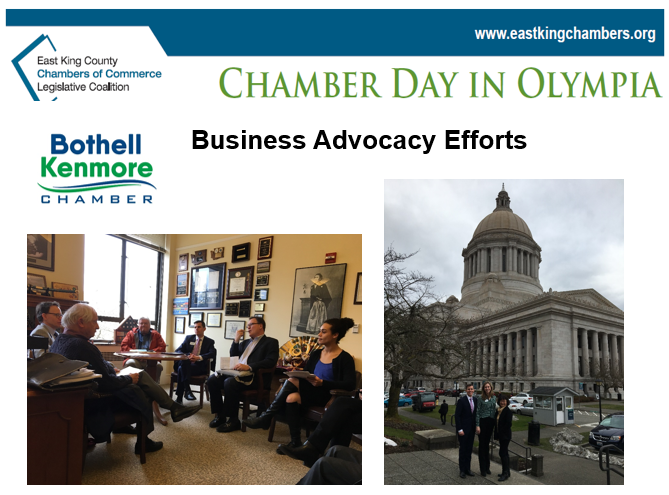 To learn more about the Chamber’s Legislative advocacy and activities and to get involved please visit our Legislative Page. 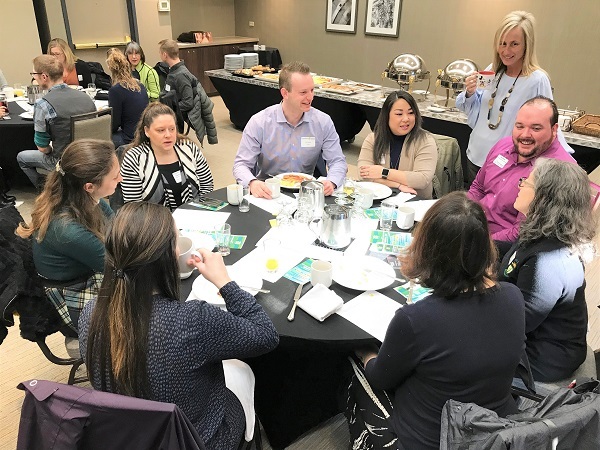 Thank you to the 70 professionals and business owners from around the area that gathered to socialize, exchange information, and hear a valuable presentation to help them in business at this morning’s Joint Networking Breakfast with the Woodinville Chamber. 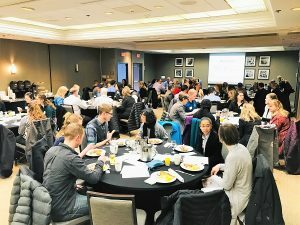 We will have another morning event this Thursday – our General Meeting – this one is free, no rsvp, just come as you are! Our General Meetings are well attended (65-90 avg) and have updates from city officials on issues affecting our business community. New members will also have the opportunity to come up and introduce yourselves to the room and tell us about your business. Congratulations To Bing Teng For Being Named Chamber Member Of The Month! Bing Teng, Franchise Owner of Supercuts Bothell Center can always be counted on to show up to volunteer, and is always creating opportunities for collaboration in our community. While he is an incredibly savvy business person with an MBA and tremendous skills to offer, he never hesitates to help with the not so glamorous work at the Northshore Senior Center of setting up tables and chairs and washing dishes. His favorite activity at the center however is baking his now famous and delicious pies and quiches! 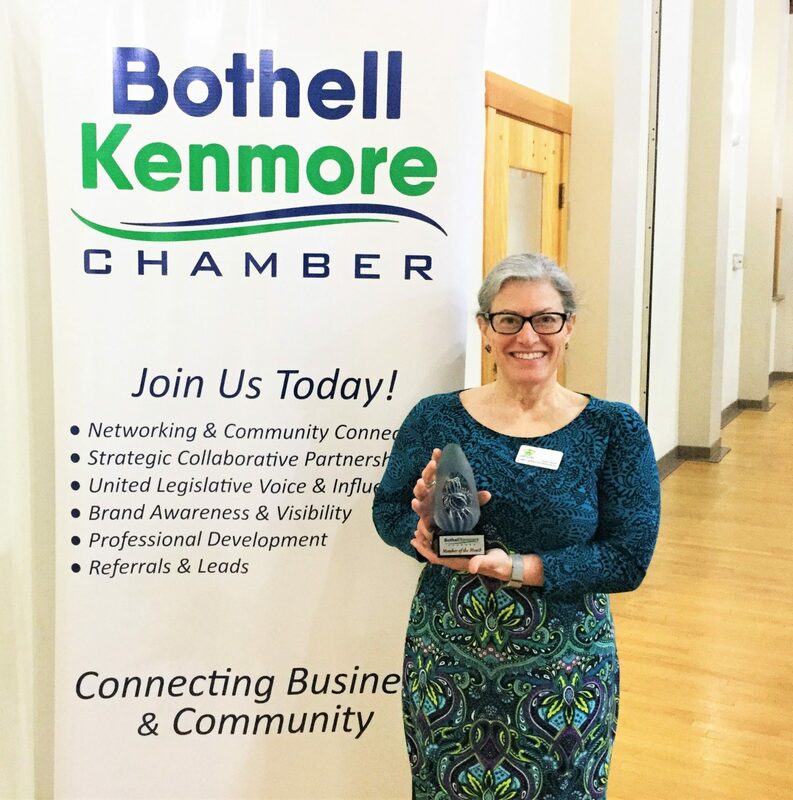 Bing is a regular contributor to the Chamber’s Bothell Downtown Action Committee, holds a leadership role with the Mercer Island Rotary, and is on the Board of Directors for the Northshore Senior Center. He also coordinates his staff to give back at Care Day, and volunteers often for Chamber events. 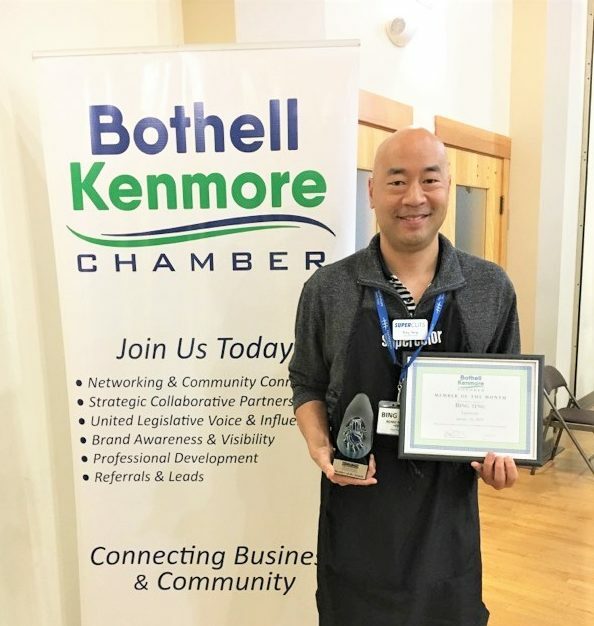 Please join us in congratulating Bing Teng on being named the Bothell Kenmore Chamber’s Member of the Month! 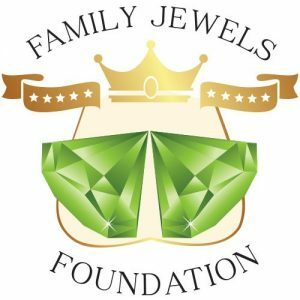 Want to nominate someone for this award? Please contact Maurita Colburn, Member and Community Relations Manager for full information.